The ReddyYeti Podcast EP: #139 Renoun Skis - Redefining Ski Construction With Their Patented HDT Technology. Founder Cyrus Schenck Sharing His Story. What if your skis could adapt to any condition the mountain threw out you, while skiing, without you having to lift a finger? Josh sits down with Renoun Skis founder Cyrus Schenck. Renoun Skis is a high end-high, high-tech ski company with a one-of-a-kind technology that allows their skis to feel stiffer as you increase your speed. The key to this incredibly innovative technology? Their trademarked HDT or Hyper Dampening Technology which involves using what’s known as a non-newtonian material inlayed into each ski they make. This is something that has NEVER been done in ski construction world so, it’s safe to say this new tech is fairly groundbreaking. Josh had a chance to sit down with Cyrus to get the full scoop on how he decided to deviate from the classic ski building recipe and take a hard left turn with his approach to manufacturing skis. 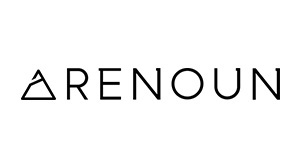 Grab a pair of Renoun Skis of your own! What do you think of Renoun Skis? Leave a comment below to let us know!